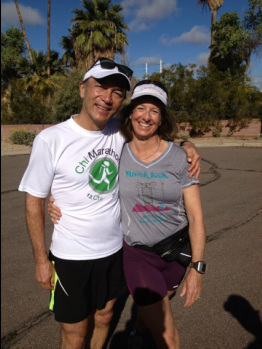 Want to learn ChiRunning privately or have some ongoing coaching in your practice? I'd love to work with you and address your unique needs so that you can meet your goals - whether it's starting a running program, improving your speed, or losing weight and getting healthy through a good nutrition and exercise program, the unique "Chi" approach can help you get there. Use the form at the right to contact me or give me a call! Private Group Sessions with a minimum of 4 people available at your house, your facility, or Cheryl's house. To see Cheryl's availability click here, then contact her to arrange a session.